The apartment house Elke is very quiet and sunny below the famous Algund Waalweg and is, of course, a good starting point for various hikes. 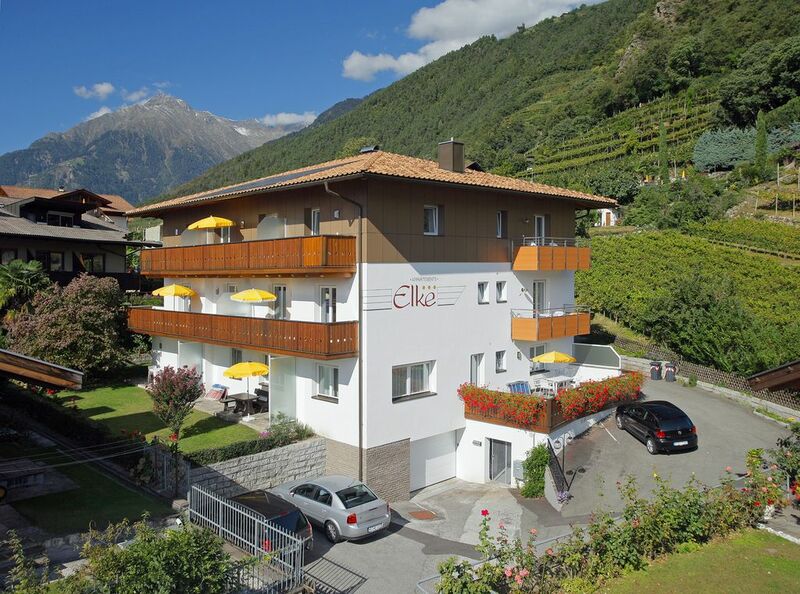 Meran is a 30-minute walk away and a 5-minute drive away. Below the house you will get the shuttle bus every 20 minutes and will take you to all the bus connections you can use free of charge, Lagundo / Merancard included in the price, as well as train and many ascent systems. The house Elke has one-room, two-room and three-room apartments, all renovated and with south balconies. Wir waren sehr zufrieden ! Die Vermieter sind sehr nett und zuvorkommend und haben ein offenes Ohr für alles. Wir haben uns zusammen mit unserem Hund wirklich sehr wohl gefühlt in der geräumigen FeWo und können es nur weiter empfehlen.